Starting November 28, 2019, nursing centers must have a Compliance and Ethics Program that meet the standards outlined in the Requirements of Participation. Creating an effective program requires advanced planning to have in place the appropriate staff, training, and policies and procedures. This toolkit is a concise summary of the requirements with helpful, practical tips for implementation. It also pulls in best practices from a variety of sources to support providers in building or improving their program. While we wait for interpretative guidelines to provide additional clarity, the information in this toolkit will help providers plan for phase 3 implementation. Medical directors and medical providers are often treated as visitors to a building. In this webinar we will discuss the value of inviting them to “join the family.” We will discuss how this shift in perspective helps break down many of the traditional barriers to achieving excellent clinical outcomes. Dr. Walker serves as the vice president of medical services and quality systems for the Evangelical Lutheran Good Samaritan Society. The Society is a diverse provider, with more than 200 locations in 24 states delivering post-acute, long-term care and a variety of other residential and home-based services. She completed her undergraduate and medical school training in South Dakota, and a family medicine residency in Pennsylvania. Her community practice included care for patients of all ages and in all settings. Dr. Walker developed a special interest in caring for those with dementia with challenging neuropsychiatric symptoms and advanced illness care, and spent several years serving as the medical director and attending physician for specialized gero-psychiatric units before joining the Society. Dr. Walker is a Clinical Associate Professor in the Department of Family Medicine and Geriatrics at the University of South Dakota Sanford School of Medicine, an APSA Congressional Health and Aging Policy Fellow, and a Fellow of the American Academy of Family Physicians. 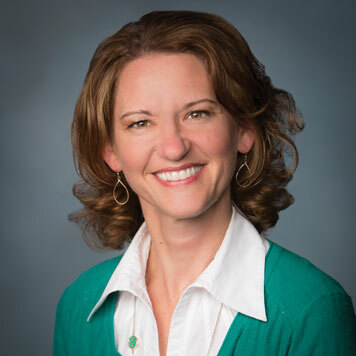 She currently serves as the Committee Chair for the AMDA Clinical Issues Public Policy subcommittee, on the Board of Advancing Excellence in Long Term Care Collaborative, and the Board of the South Dakota Foundation for Medical Care. The American Health Care Association (AHCA) has announced new three-year goals as part of its nationwide, multi-year initiative to further improve quality in long term and post-acute care centers. Since the launch of the Initiative in 2012, members have been challenged to meet measurable targets in key areas such as hospitalizations and antipsychotic usage. While significant improvements have been made, more must be done. The next phase of the effort continues to challenge providers to achieve quantitative results in four areas by March 2021. This webinar will provide an overview of progress to date, outline the new goal areas and review strategies and resources to help IOs, those with 10 or fewer centers, achieve the Quality Initiative goals. Review progress to date on AHCA Quality Initiative. Discuss the new goal areas and the rationale for each selection. Review systematic quality improvement strategies and resources to support IO success in meeting the identified goals. CNAs are the backbone of nursing centers and are the key to each center's success. Satisfaction, safety and care are all predicated on their skill, know-how, and compassion. AHCA invites CNAs to join this session as we explore ways to respond to state survey teams about the care and support provided to residents with dementia who live in your center. 1. Differentiate between behaviors and unmet needs. 2. Review interventions and ways to individualize care. 3. Recognize appropriate responses to offer to survey teams about those for whom you care. Be sure to log-in using the log-in button in the upper left hand corner of this screen to see all the resources in this series. Your log in is the same as all our AHCA/NCAL products. The Affordable Care Act requires CMS to collect electronic staffing data from nursing centers. The Act requires this data to be auditable and verifiable. The information is intended to collect direct care staff (employed and contracted), employee turnover and tenure, and must include census data and case mix. CMS developed the Payroll-Based Journal (PBJ) to collect this data. The first mandatory reporting period began July 1, 2016. More information on PBJ and the manual can be found here. CMS has stated it will release risk adjusted measures on the average hours per resident day by nursing job categories this spring. CMS will also incorporate these measures into your Five-Star Ratings. The exact date of release is not yet known nor it is known when or if there will be a preview period for SNFs. On April 6, 2018, the Center for Clinical Standards and Quality/Quality, Safety and Oversight Group at the Centers for Medicare & Medicaid Services (CMS) issued a memorandum , "Transition to Payroll-Based Journal (PBJ) Staffing Measures on the Nursing Home Compare tool on Medicare.gov and the Five-Star Quality Rating System." A brief summary of the information included in the memo is below. Transition to Payroll-Based Journal Data : Beginning in April 2018, CMS will utilize PBJ data to calculate the staffing measure rating for the Five-Star Quality Rating System. Penalties: Providers with significant issues on their audits or who do not submit data by the reporting deadline will have their staffing star rating reduced to one star. Additionally, starting in July 2018 providers who have seven or more days in a quarter with no RN hours will have their staffing star rating reduced to one star. Staffing Data Audits: CMS shares some common errors that are found in the audits that providers should work to correct. Form CMS-671 : On June 1, 2018, centers will no longer be required to complete the staffing section of the form CMS-671. Additionally, CMS has posted PBJ data for the third quarter of the calendar year 2017 to the public through a public use file (PUF) posted here. This file contains preliminary data submitted by providers for the third quarter of the calendar year 2017. You can view CMS' previously posted data available here as well for the first and second quarters of the calendar year 2017. CMS will continue to publicly post data for the subsequent quarters. Learn the basics and the history of the Payroll-Based Journal. View the webinar by clicking on the right hand navigation pane. This webinar is presented by providers who have successfully submitted data to CMS during the voluntary period. They will share the steps they took, the challenges they faced, and the lessons they walked away with. Attendees will get tips on how to successfully prepare their organization to submit the mandatory staffing data and answers to their questions. Learn the ins and outs of the Electronic Staffing Data Collection requirements and best practices to collect, review and submit the required information to CMS. Get credit for the care your organization provides by implementing proactive processes that help get PBJ reporting right. This session includes 30 minutes of educational content and 15 minutes of audience Q and A. Interested? Contact OnShift today. Also offers a resource for providers. To learn more about their solution, contact Larry Florio.